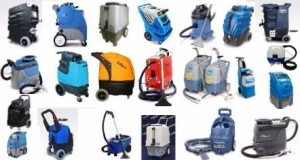 We offer carpet cleaning machine repairs, upgrade, maintenace, spare parts services for most industrial make and modles at very competetive cost. Our aim is to deliver a high quality and responsible Industrial carpet cleaning machine repairs and upgrade services where all the electrical and mechanical standards are met and approved by their manufactures. We know how stressful it can be when your machine stops working, that’s why our technicians at Mighty-Tech are on hand to help, whether you visit us in our work shop garage or make an appointment for one of our technician visit you at your place. We repair a wide range of Industrial cleaning machines, from carpet cleaning extractor machines, dry cleaning machines, rotary machines, jet wash with all their attachments and so on. All of our repairs come with exclusive benefits including a free in store consultation. All repairs also come with a 3 month guarantee. With over 100s repairs a year, we work with the UK’s largest supplier of spare parts to make sure we can fix your machines as quickly as possible. Also we stock spare parts including water pumps, vacuum motors, connectors, hoses, switches, prusre regulators and many more. Our repairs service is available 7 days a week, we can also make late or weekend appointment to suit your schedule. At Mighty Tech Ltd we understand the need for a fast, efficient,high quality and affordable service. If you run a carpet & upholstery cleaning business, your main extractor machine breakdown will not only impact on the quality of the service you provide to your clients also it can lead to job cancellation and losing customers. We are here to help, simply contact us and find out more information about our services we can offer you.